Dentures from Gentle Family Dentists in West Liberty, IA and Muscatine, IA improve your health and appearance. If you’re missing teeth or are seeking to replace damaged teeth, a denture will keep you happily smiling and eating again. I must admit that years ago I did not like doing dentures, but now again, technology has so improved that I love doing dentures. A lot of times it's almost like getting a face lift. It just makes you look younger and better and we use the Massad Technique and with little extra things that we do we can make it so that it helps fill out your face just the right amount. Not too much, not too little, and give you the right tooth length and it's just amazing. I kind of call them face lift dentures, but they're really fun and we love doing dentures now because of the difference it makes for patients, being able to smile and chew better. 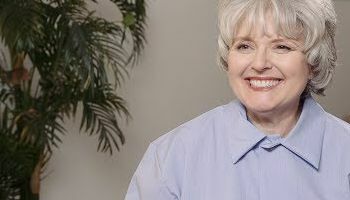 Dr. Carol Moreno, a Humanitarian Awardee at the Academy of General Dentistry, even compares our denture to face lifts since they improve your look but without cosmetic surgery. Call 563-288-2612 today to speak with Dr. Carol Moreno or her son, Dr. Roberto Moreno, at either of our relaxed offices. Traditional dentures can be removed for cleaning and will remain in great condition with the proper maintenance. A Denture secured to your implants, function like healthy natural teeth, and even though some can be removed, they will never slip out of place while you’re wearing them. Call Gentle Family Dentists at 563-288-2612 to make an appointment at our friendly West Liberty, IA or Muscatine, IA dentist office. You can also book your visit or ask any questions using our easy online form!